My resolution for 2015 was to read a book a month. It may sound like a very modest target but as a new parent free time is definitely a luxury and I wanted it to be spent worthwhile. When I say book I really mean book, not an eBook on a tablet, text on a screen or an e-reader with an infinite battery life. I mean a paper bound, art work covered, beautifully smelling book. Novel? No pun intended. 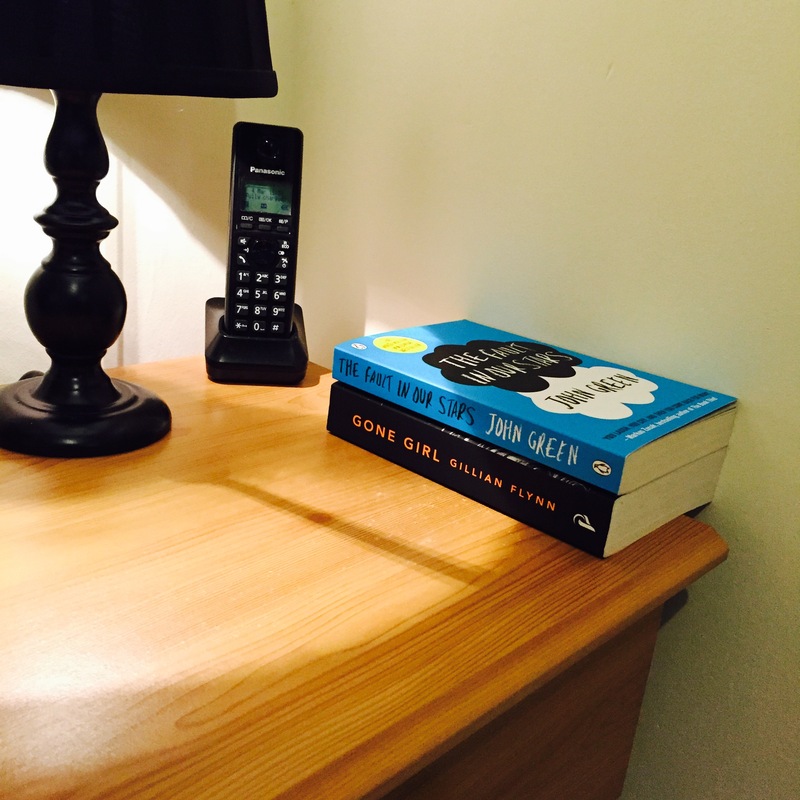 In January I read “The Fault In Our Stars” by John Green. I’ve not seen the film to date and I’m not sure I can take the disappointment of seeing my imagination crushed into a director’s two hour Hollywood vision. Although it’s a teen story, I fell in love with its simple yet beautiful storytelling of friendship and living life. In February, I read thriller “Gone Girl” by Gillian Flynn which I found gripping with a creepy yet refreshingly realistic view on the way most of us have experienced relationships (Cool girl). I’ve seen the film and enjoyed it but still avidly prefer the book. Because I have been reading the paperbacks of these books I have them now still sitting on my bedside unit collecting dust. This has bothered me the last few days knowing they will probably become dust catchers in my house rather than doing what they were created to do; tell their story to someone who wants to listen (or in this case, read). So, I’ve been thinking of something a bit different from just giving them to a charity shop. I want to give them back to the public and hopefully they will be picked up and read by someone who will then do the same and pass them on. 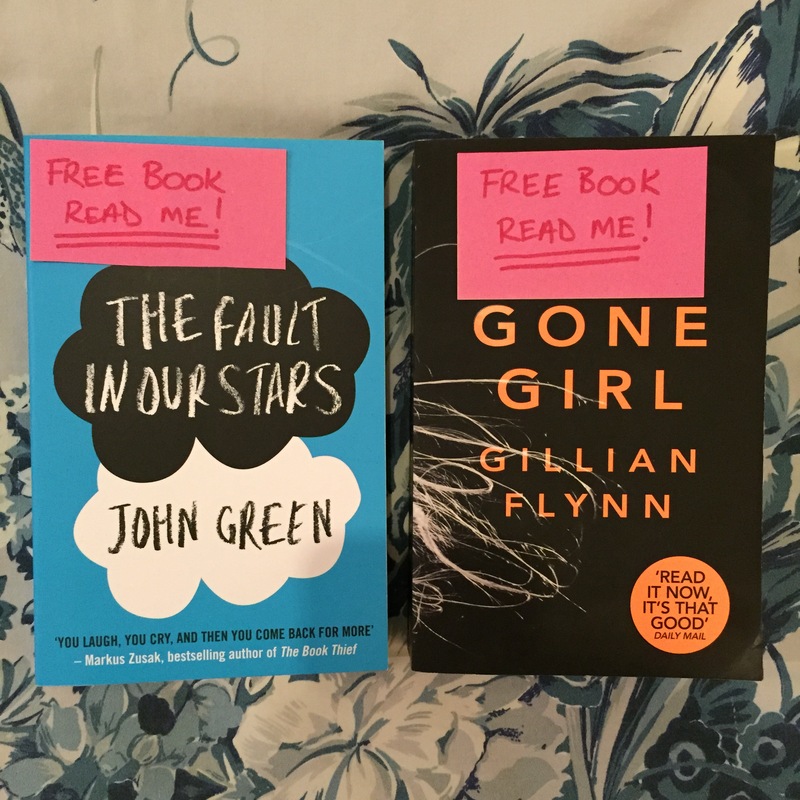 I have marked the front covers with “Free Book – Read Me” and marked the insides of the books with who I am. If you do happen to come across one of them feel free to send me a message as it would be lovely to see how far one book can make it. It’s already the 4th of March and I currently do not have a book lined up to read this month. The two other books have been indirect recommendations from other people and now I’m scratching my head. If anyone can recommend a good book I would appreciate it!